Rick Reed (b.1957 Corpus Christi, Tx.) is a sound/visual artist now living in Austin, Texas. Starting in the late 70's, Reed began his exploration of experimental sound while still in art school using prepared pianos and reconfigured organs. Upon moving to Austin in 1979, he soon became involved with the industrial music group, The Fear & Tension Corporation (FTC), which produced 2 records before disbanding. A solo music project "Colder Still", as well as 3 video art productions were realized during this same time period. These endeavors featured Reed using a variety of synthesizers and electronic effects. During 1987-1990, Reed stopped making music for a few years while living in Los Angles, California. On his return to Austin, he began new explorations of sound using mainly acoustic instruments in place of electronics. A new trio, The Ethereal Bastards was formed and centered around the use of acoustic guitars, accordion, mandolin and various other percussion instruments. This was an attempt to simplify the sound making process, which Reed had seen as becoming too cumbersome to be able to directly express his ideas of spontaneous free music. Some of this music created during this time was released on an LP entitled "Experimental Music From Austin, Texas" by Thurston Moore in 1998. This 'hands on' approach was beneficial to Reed, as he moved into his next phase of creativity using prepared, no-holds barred electric guitar with The Abrasion Ensemble. The Abrasion Ensemble was an experimental, improv-noise group that featured an expanding and contacting membership, sometimes performing as a duo or quartet, sometimes as a larger group. Some of the higher profile members and guests that floated thru the ranks included (as documented on the CD "Music for the Same 50 People") Tom Carter of the group Charlambides, David Nuss of The NoNeck Blues Band and Shawn David McMillen of Ash Castles on the Ghost Coast fame. The music made during this period has been described as being a mix of AMM, Organum and "levitating farm machinery". This group lasted on and off for 6 years. The sole Cd release, which came out in 1999, has become something of a classic in improvised music circles, as it's such an oddity: european style noise music from Texas. In the late 90's, Reed found himself again drawn back to pure electronic music. First, playing short wave and sine wave generators with the trio Frequency Curtain, which also featured John Grzinich and Josh Ronsen on laptop electronics, then later in 2002 when he finally returned full circle to his first love, the synthesizer. Reed then embarked on a variety of solo and group projects, as well as film soundtracks and installations. The 21st century has found him providing electronic music for a Hermann Nitsch exhibit in Houston, Tx., touring the east coast with ex- AMM guitarist Keith Rowe in a group called The Voltage Spooks, playing guitar again for Phil Niblock in "Guitar 2 for 4", and a special guest appearance with film legend Ken Jacobs at New York's Lincoln Center. 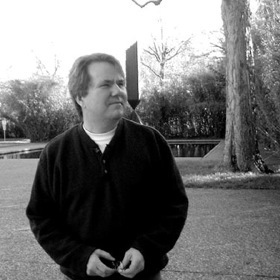 Since 2004, Reed has scored three of Jacobs digital films, "Mountaineer Spinning" (2004), "Spiral Nebula" (2005) and "Capitalism: Child Labor (2006). The last, C:CL, won the grand prize at the Curtas Villa do Conde film festival in Portugal in 2007. That same year, Reed played at the Views from the Avant-Garde portion of the New York Film Festival with Jacobs, again providing electronic sound to his live production of " Dreams Money Can't Buy". In August of 2008, Reed did a special performance in Seattle, Wa. as part of a 10 year anniversary event for the record label Elevator Bath, which released Reed's 2005 CD, "Dark Skies at Noon", and his newest project, a picture disc LP, called "Dreamz/Blue Polz". In the past 10 years, Reed has hosted an avant-garde radio show called Commercial Suicide, and since 2006, he has served as musical director of the Toneburst experimental music and video series, of which number 8, will be held in early 2009.